Take a quick tour of the Anow Connect and Client Portal settings! To access your Connect Settings, click your initials in the top right, then select Connect Settings from the dropdown menu. The Connect Settings page will appear, giving you access to all of the important forms and settings you need to get started! In order for your clients to take advantage of Anow Connect, they will need the link to the online Order Form for your company, as well as the link for the portal where they will be able to login and track their orders. You will be able to find both of these URLs under the Connect Links header. 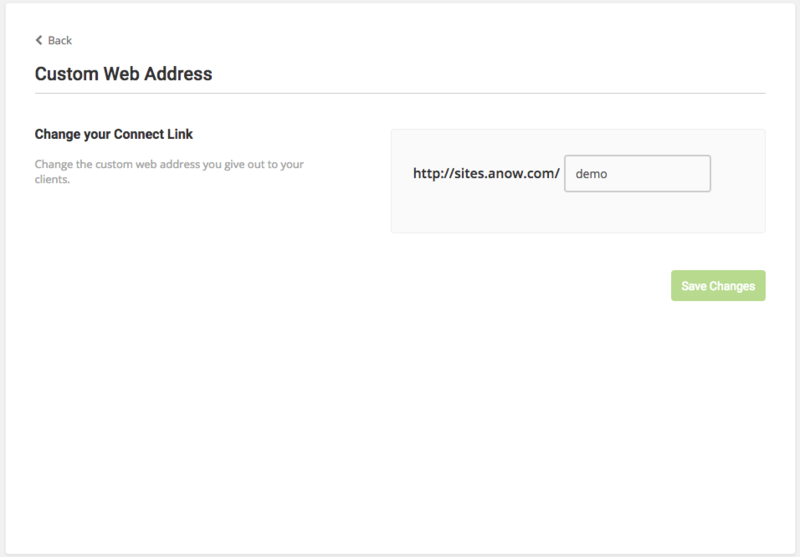 Now you will see the Connect Settings header; here you can customize certain aspects of the Anow Connect experience. First is the Default Due Date settings. This is where you will select what you want the minimum due date to be. 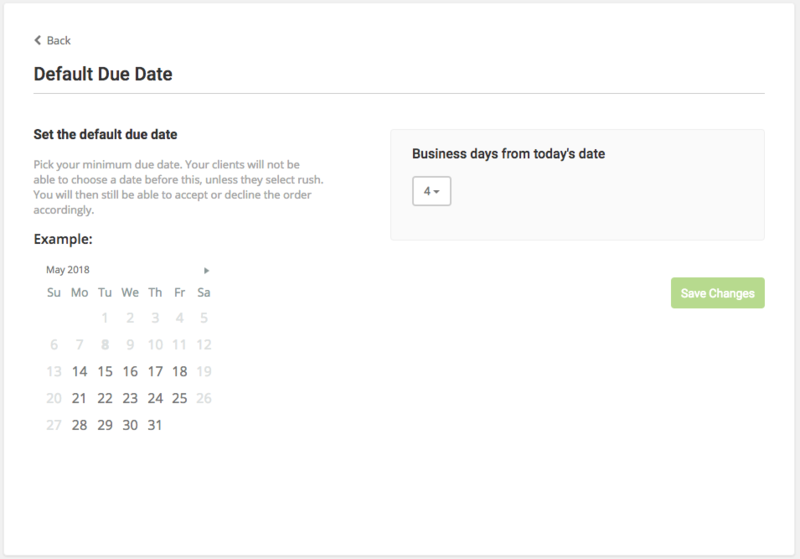 In other words, your clients will not be able to choose a date that falls within the selected number of business days, unless they choose the Rush order option. Either way, you still have the freedom to accept or decline any orders you receive! 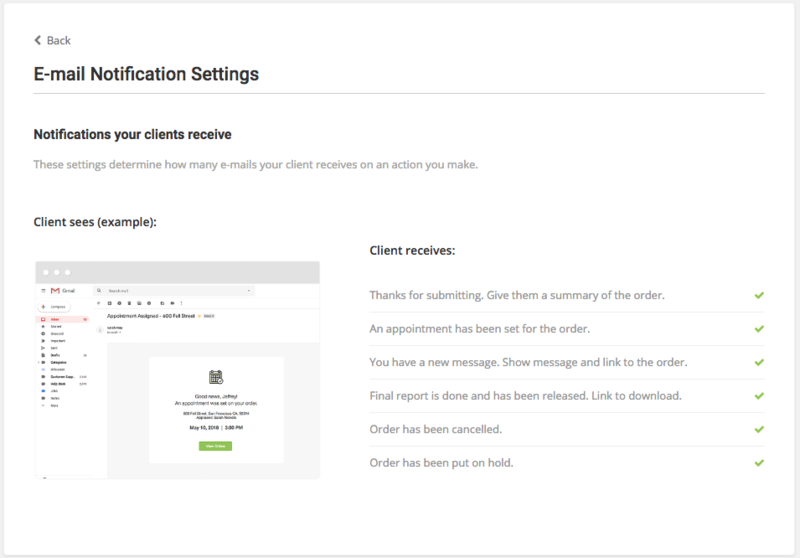 E-mail Notification Settings gives you a preview of which auto-generated e-mail notifications will be sent to your clients at this time, as well as an example of what those e-mails will look like. Next you will see the customizable Order Form Fields. 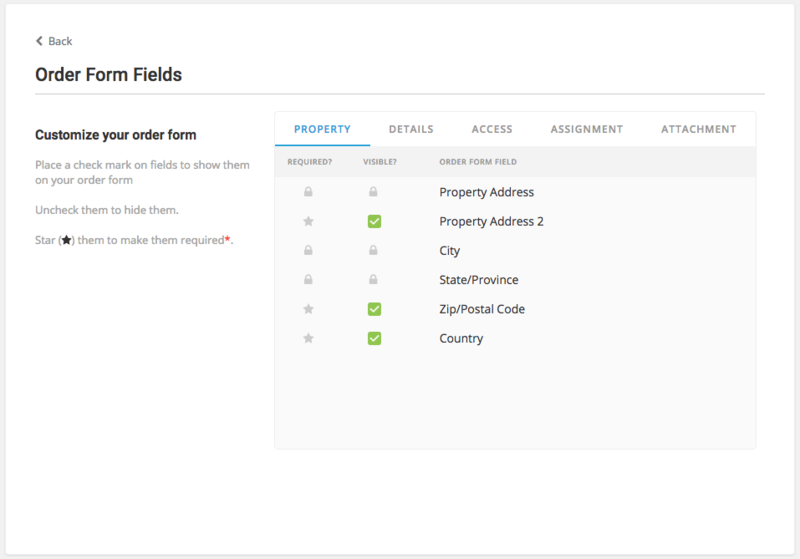 Here, you can control which fields appear on the Online Order Form that will be sent to your clients, as well as which fields are required fields on your form. Anow Connect gives you the power to Customize Your Drop Down Lists. 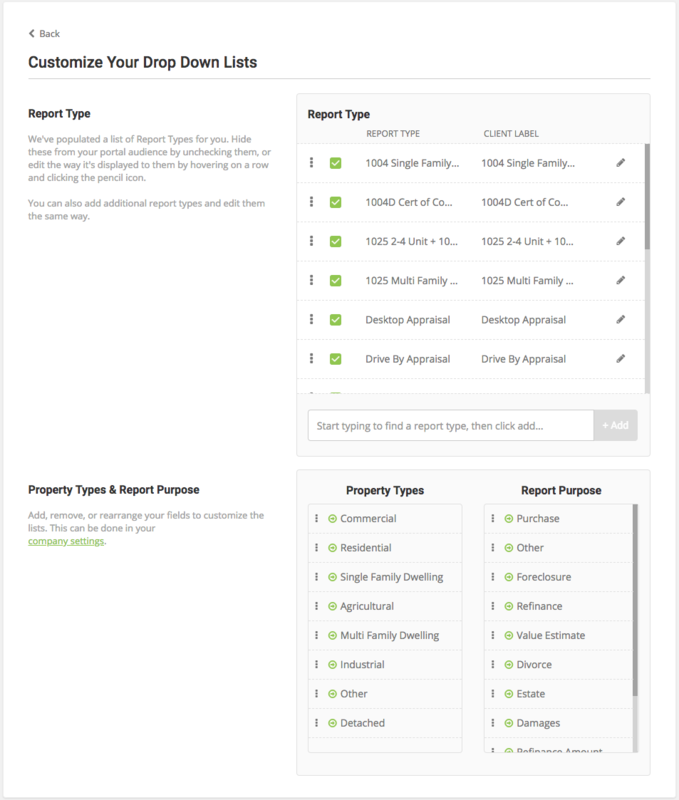 Whether you want to add, remove, edit, or rearrange the lists for Report Type, Property Type, and Report Purpose, this can all be done right here in your settings. Last but not least, you can edit the Custom Web Address that your clients will see on the links for both the Online Order Form and Client Access.